With deep apologies, I have been a naughty blogger by not writing as much as I normally do. 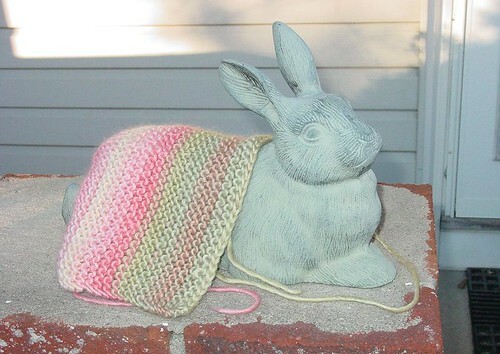 Work has become more hectic time-wise, but I know that if I can find time to knit and socialize timid potential houserabbits, surely I can find time for updating my website and the NASCAR Knitting KAL. 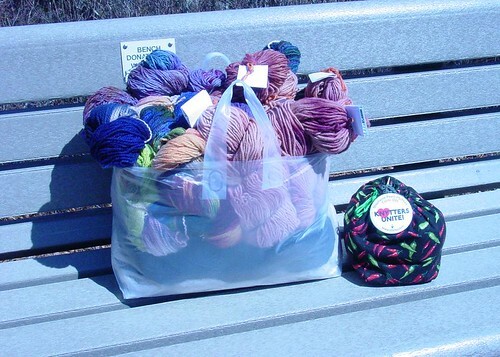 I did spend today’s lunch uploading photos to my Flickr site, and just now updated my last post with the promised shots from Carol at Farmhouse Yarns. Spring is in the air. Granted in a teasing sort of way with the taunts of warmth alternating with freezing, but it is alive and well in many hearts. So it is with knitting. My projects on the needles have not been discussed as of late. 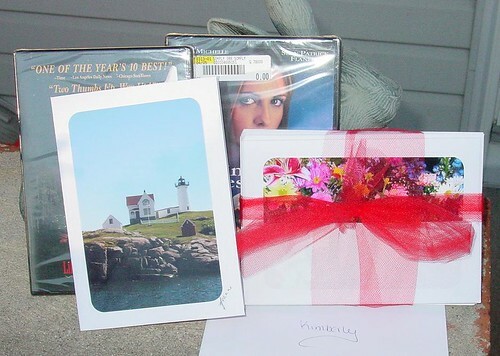 Now that I have looked back and reviewed the photos I snapped, I best ‘fess up before I forget to post them yet again! Here is my second “square” for “Warm up America” out of the yarn given to us to knit during Stephanie’s book launch. 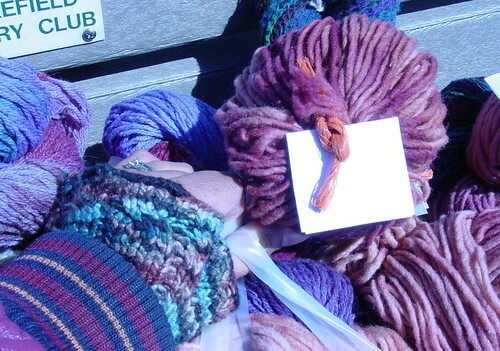 I do like knitting with the yarn, and for those who are curious, it is Patons’ SWS (50% soy and 50% wool). Sorry for the horrible photo, but these gauntlets for Helene were made out of the Malabrigo she had purchased when I talked her into knitting. Honestly, knitting is not something she is into, and I had told her I could possibly swap it with somebody. Little did she know was that I planned to make her these all along! A wonderful surprise arrived in the mail this week. 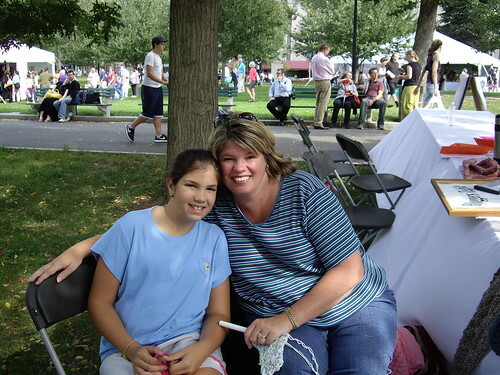 A couple of years ago, I met Joanne and her daughter Andrea at the Boston Knit-out and Crochet when I was volunteering for the first time. 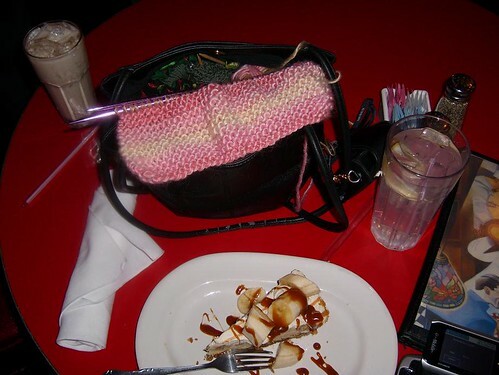 I was at the Bloggers Table after helping to set up, and we ended up talking up a storm on crocheting and knitting. At the last BKOAC, they visited me at the Bloggers’ Table and we had a blast with the surrounding (but fun) craziness. 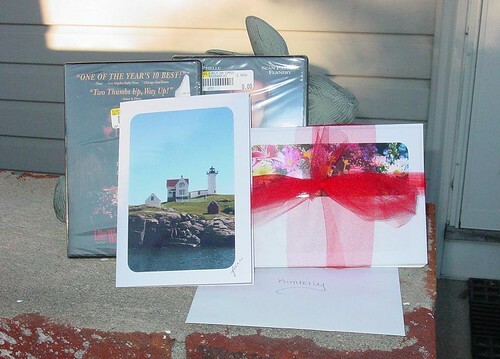 I just love the picture of the square on the bunny! So cute! Can’t wait to see your FO! Looking forward to the FO! 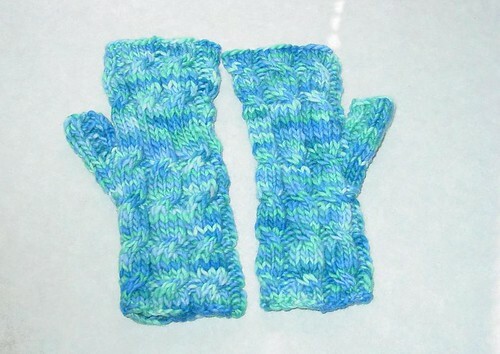 Hi Kimberly – I was happy to meet you at the guild meeting and to see your lovely knits . Did you join the guild? There is a great picture of you and the shawl on my blog.